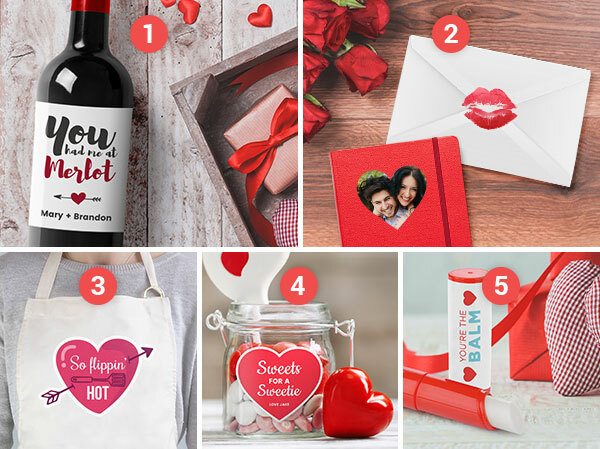 Valentine's Day is quickly approaching, regardless of whether you’re swooning over your significant other or planning to spend the day with an oversized bottle of wine, ranting to your friends about how much you hate this grossly commercialized holiday. Take some of the pressure off this year by getting a head start on DIY gifts for significant others, friends, family, or coworkers. 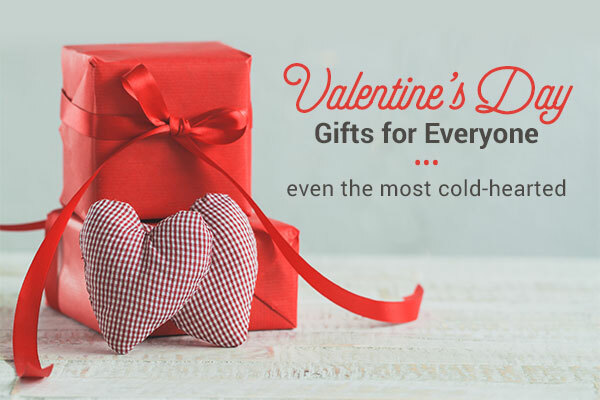 Make the day even more special (or at least tolerable) with these simple gift ideas that will be sure to warm hearts and be light on your wallet. 1. Will You Be Wine? First things first, you can always trust that a nice bottle of wine will be appreciated on Valentine’s Day, regardless of whether your friends have been struck with cupid’s arrow or not. Custom Wine labels with a cheeky joke or romantic message, make the perfect gift for anyone on your list. For those of you with a long distance love, you can go old school with a personalized touch to your letters and stationery. Send them a notebook with a photo sticker of the two of you and pencils with personalized labels with both your names. And be sure to seal the envelope with a kiss! If you have a master chef in your life, show them how much you care (and how much you love that they cook for you) with a personalized kitchen towel or apron. You can try adding their name, initials, or a cute Valentine’s Day inspired design. All you need is a plain tea towel or apron, an iron, and your custom iron-on transfer for this easy and personalized DIY gift. If you know your own way around the kitchen yourself, put your skills to good use by making some tasty treats. Package them up in a cookie or candy box and seal with a sweet custom label! Finally, if you really want to test your crafting skills, try going fully DIY with personalized gifts. Try making your own lip balms, scrubs, bath bombs, or if you’re feeling adventurous, try them all and make a DIY beauty gift set. Be sure to add a personal touch with your own custom lip balm label. From all of us at StickerYou we’d like to wish you a very Happy Valentine’s Day!